Love is, of course, a very important part of any relationship. It plays a very major role in making any marriage successful. Well if you are a newly married couple, money and expenses may not feel that important and crucial part right now. You are more involved in your honeymoon phase, enjoying every bit of the moment. And you also must be aware of everything that your partner has and do. But does it count their finance? How much they earn, where they like to spend, how much they spend…almost everything. Are you aware of anything? Having knowledge about such things are way more important that you actually think. Discussing such a crucial matter demands a lot of patience and understanding. You must communicate about such things directly to your partner. If such things not done at the right time can lead to bitterness and fights in your marriage. 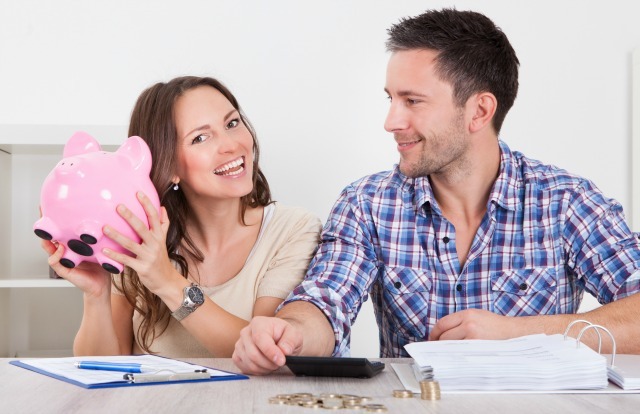 Here are some crucial tips that will help you maintain all those finances in your marriage. In a marriage, you must always be crystal clear about your financial subject. Any relationship works on the foundation of trust and for that, you must be transparent with your partner. Converse with each other. Make them aware of everything you have, earning from your assets and property to your debts. Keep everything known to them, even if that is about your sum unpaid. Many people try to hide such information from their spouse and don’t want to disclose anything. Such a habit is only going to create a mess and will tamper your relationship whenever disclosed. Thus it’s always better to have a clear word about such things with your partner. The whole world is talking about equality and everything begins at home. You must also exercise equality while contributing every time if both of you are earning. Whether it is a common household expense, shopping, bills, anything and everything which you have must be split equally. Make it half-half. Just because you are married doesn’t mean your man has to pay for everything. This is the 21st century and you must act like one of this kind. Stand your foot down and hand over the cash every time. This will help you in managing financial balance in your marriage and one will not have to face the entire burden. Whether it is about any small or big financial decision, it should be mutually decided. You must include the ‘say’ of your partner in it. Marriage is a foundation which works on equality and you must exercise it even when it includes the financial decisions. Give equal consideration to what your partner wants to convey and what is their choice in a particular situation. This will help you in managing good financial balance in your marriage. Not just that, this habit will also protect you from making any wrong decisions in your life. When you have another person to judge your actions, you are more likely to do better in it. Also, because they know everything about your financial condition, they can be a good advisor. Next time that you must consider in order to have a good financial balance in your marriage is to pay attention to having an individual saving. There is, of course, no harm in doing that. It’s obvious that you both have some kind of individual demands and requirements. So have a talk with your partner, discuss it. Whether you want to save money to buy a new house, property or any other asset you may feel is important then you must take steps in saving dollars for it. Basic independency to save money in a marriage is very important and can also help you at hard times. If you want also go for an individual bank account and save for your retirements or your children education. For whatsoever reason, you must do it. You can’t predict the future. You never know what mishappening can take place and in order to solve it, you need a good amount of money. To combat such a situation you must pay crucial attention to having an emergency fund. Any unexpected sickness, accidents, car breakdown, losing the job, anything is possible in future. Thus, you must be ready with your savings in order to pass that time with ease. So, make sure to take out a considerable amount of money from your salary every month and keep it in the name of emergency funds. It is way more important than you think. Such funds are very important in order to maintain a good financial balance in your marriage. If also gives you strength and inner confidence to pass such unfortunate occurrences. You will no longer have to beg for money from anyone else. Never ever ignore such savings/ funds. Also, remember to do it equally.